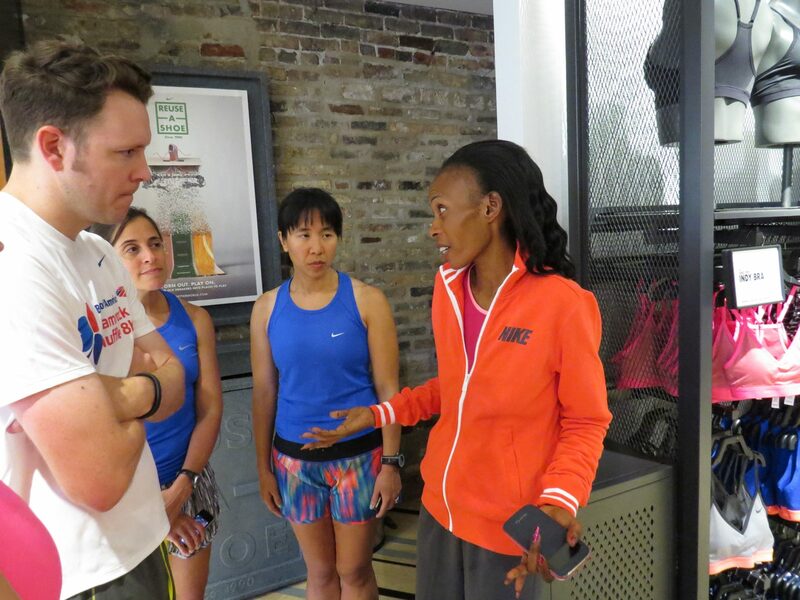 This week, 2013 Chicago Marathon winner, Rita Jeptoo, swung into Chicago to begin the period of her training focused on defending her title at the 2014 Marathon. Last year, she set a course and personal record at 2:19:57. She’s already broken that record, winning the 2014 Boston Marathon with a 2:18:57 time. If you’re keeping track, that’s a half marathon time for a lot of runners. At an early age, Jeptoo was recognized as someone having the potential to become an elite distance runner. But the start of her running career was a mix of drive and necessity. Jeptoo’s family home in Kenya was 10 kilometers from her childhood school. After logging a trip to school in the morning, a trip home for lunch, a trip back to school and home again in the evening, she’d traveled nearly a full marathon every single day. She described how traveling the distance to school translated into becoming a distance runner. As “the best runner in her school,” she told the group gathered at Nike Running in Bucktown to meet her, she competed in “every single track and field event.” From the long jump to sprints to middle distance to distance, Jeptoo was a one-woman track team. She liked it that way and worked to retain her title as the single best runner. Type A, for the win. Her grueling training schedule and her dedication to the sport are what she points to as contributors to her continued success. When Jeptoo was asked about her training and when it takes to become an elite distance runner, she explained the need for complete dedication to the sport and the importance of following your training plan. She advised runners to train their muscles to work when they’re fatigued to allow them to get stronger. Nutritionally, she had some specific advice for European and American runners. She said, “Don’t eat McDonalds. Don’t use a lot of oil. Cook at home.” She advised that runners and aspiring runners avoid carbonated, sugary beverages and instead drink fresh mango juice, water and milk. However inspiring Jeptoo and her story were to the Chicago-based crown, she drew similar motivation from the city to help propel her through the 2013 Chicago Marathon. She said that the cheers of the fans in Chicago drove her to run quickly through the finish. Considering the fact that she’s notorious for finishing the last 15 kilometers of a marathon exceptionally fast, those cheers of encouragement could have helped propel her to her record finish. As Jeptoo gears up to take another run at the championship, it’s clear that she’s still pulling inspiration from the runners and crowds around her. 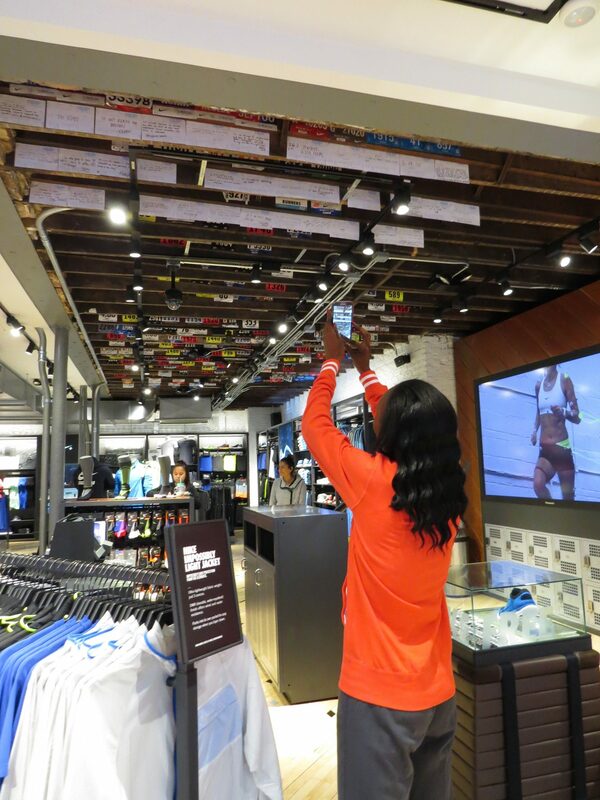 She finished her time at Nike Running snapping photos of the store’s walls, filled with goals written by Chicago runners.